I like to use fresh herbs. But there’s been many a time that I’ve let them squander in the refrigerator drawer, wasted. I’ve taken to buying the two herbs I use most, parsley and cilantro. To avert their tragic end, I now promptly wash them, cut off their ends, and put them into a cup of water. They sit cheerily on the counter, where I remember to snag some as I am cooking. Where do I use them? All over the place! Parsley loves to be chopped or cut for soups, spaghetti sauce, baked cod and salmon, and on top of salads. If you serve potatoes and rice as side dishes, add some chopped parsley. Wherever you think the taste won’t interfere, add some! It also helps the kids get used to flecks of green in their food. Cilantro gets cut and stirred into mashed avocado or served on top of cubed avocado. It accents soups. It adds a touch to a can of sardines. It, too, can easily be cut into a salad without overpowering the taste. Serve along side shrimp and other seafood. In alternative circles, these two herbs are known for “detoxification.” They are reported to help with glutathione production (one of the most potent anti-oxidants in your body and made BY your body) and heavy metal chelation (like mercury). I’m not studied up enough to write on those factors yet, but I like these herbs and I know they offer anti-oxidants, calcium, vitamin C, vitamin A, and vitamin K.
I thought you might like to know how I make sure and incorporate a little of them into my diet and my family’s diet each day–and not let them waste in the fridge. Preparation at a good time helps keep your perfect diet in motion at a bad time. Did I mention that if you are in the midst of changing your diet to eat mostly fresh, whole foods, “YOU CAN DO THIS!”? Don’t stop now! 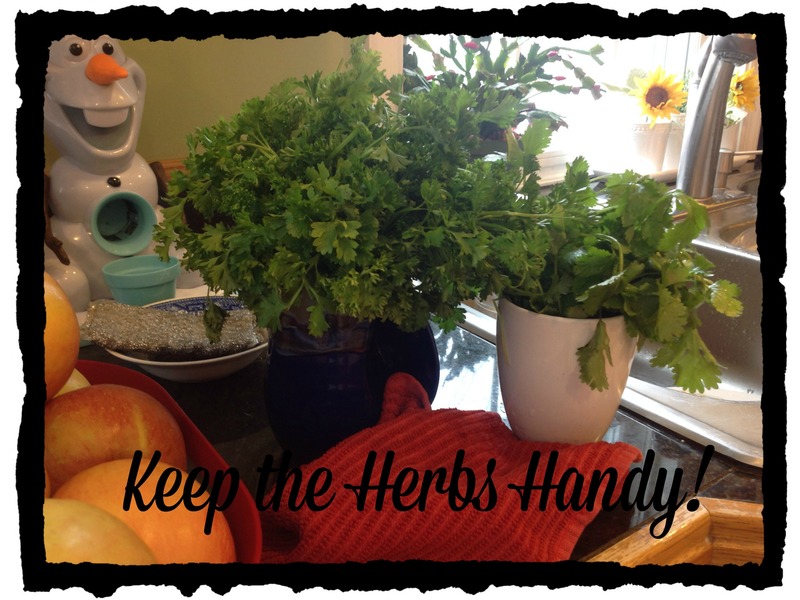 This entry was posted in Odds and Ends, Wellness and tagged cilantro, parsley, tips to incorporate more greens into the diet on January 11, 2015 by thehomeschoolingdoctor.